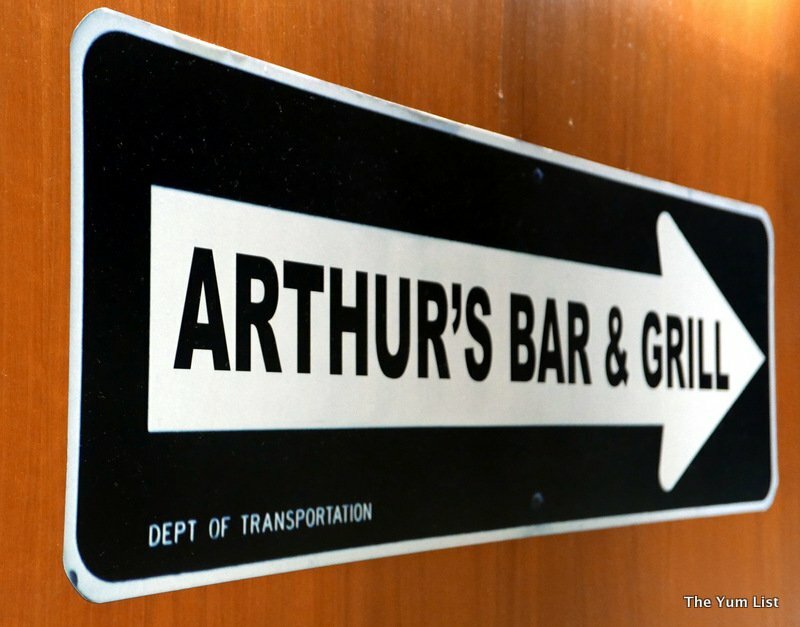 Stepping into Arthur’s Bar and Grill at the Shang, I couldn’t help but think of a popular movie from my childhood era, Arthur (starring Dudley Moore). Maybe it was the name? Maybe it was the eclectic pieces of artwork that reminisce one of New York? Or maybe it was just the whole lifestyle that Arthur, and of course Arthur’s represent – elegant, unpretentious, and slightly whimsical. So, like the movie, did Arthur’s deliver? It certainly did! 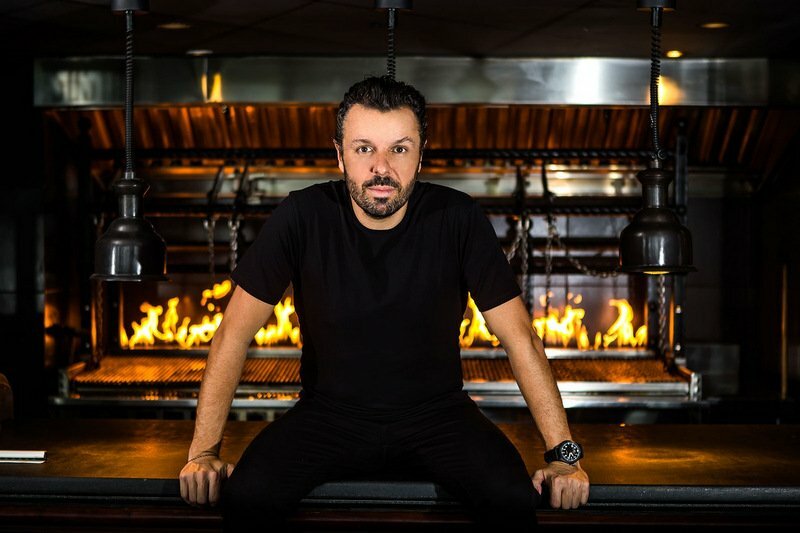 As someone who enjoys eating out, having a few drinks, and spending time with friends, I am always on the lookout for places that offer great atmosphere, great food, and most of all, an ambience which is conducive to conversation. Put simply; fun, but not too loud. Arthur’s Bar and Grill suited me down to a ‘t’. We initially came for the music and the drinks, but our late afternoon tipple soon turned into dinner, and that was a serious meal. 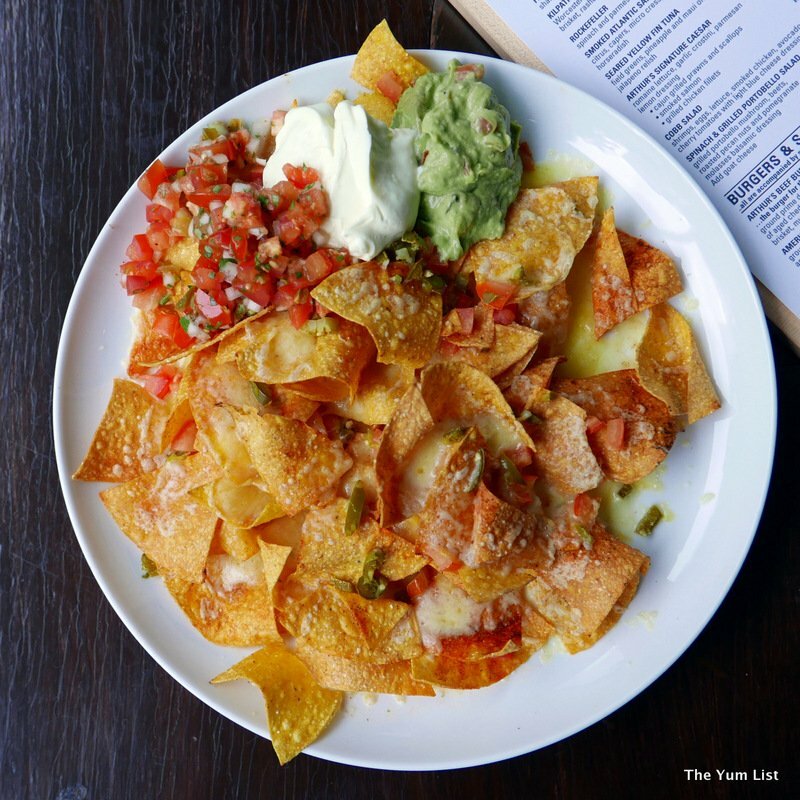 Nachos, smothered in fresh guacamole, sour cream, tomato and cheese were on the table when I arrived (me, being late as usual). With the gooey cheese melted over the nachos, this staple combination ensured that we could mix and match and create some favourite flavours. Monica and I are both fans of guacamole, but the fresh diced tomato, sour cream, and added cheese ensured that every bite was a tad different. It’s always the simple food that is the most fun. 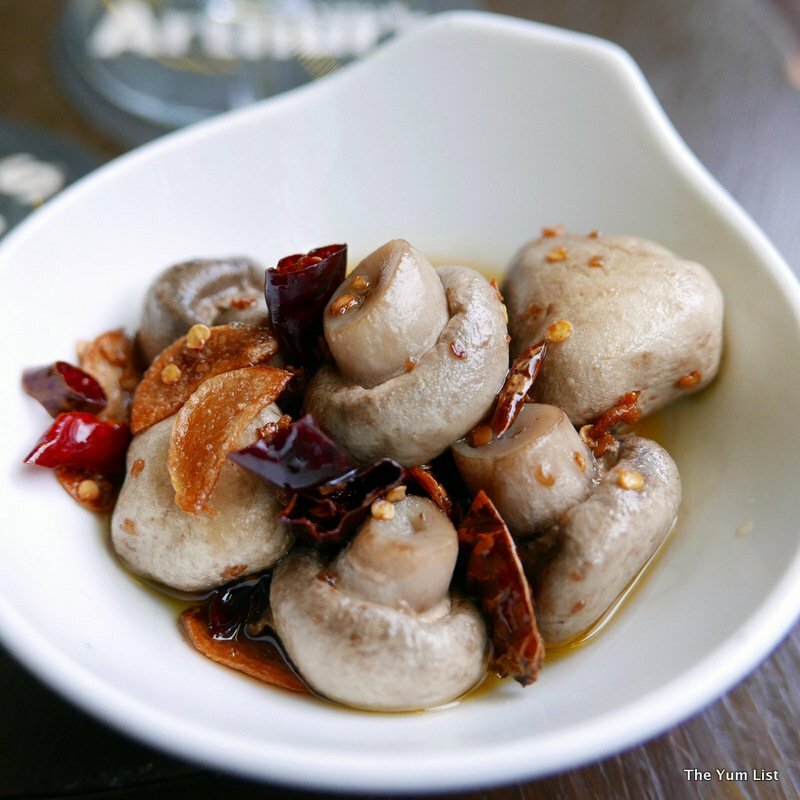 The marinated button mushrooms, with a hint of chilli, were superb. I’m not a mushroom guy, but I found myself drawn to these morsels because of their slightly spicy aftertaste. 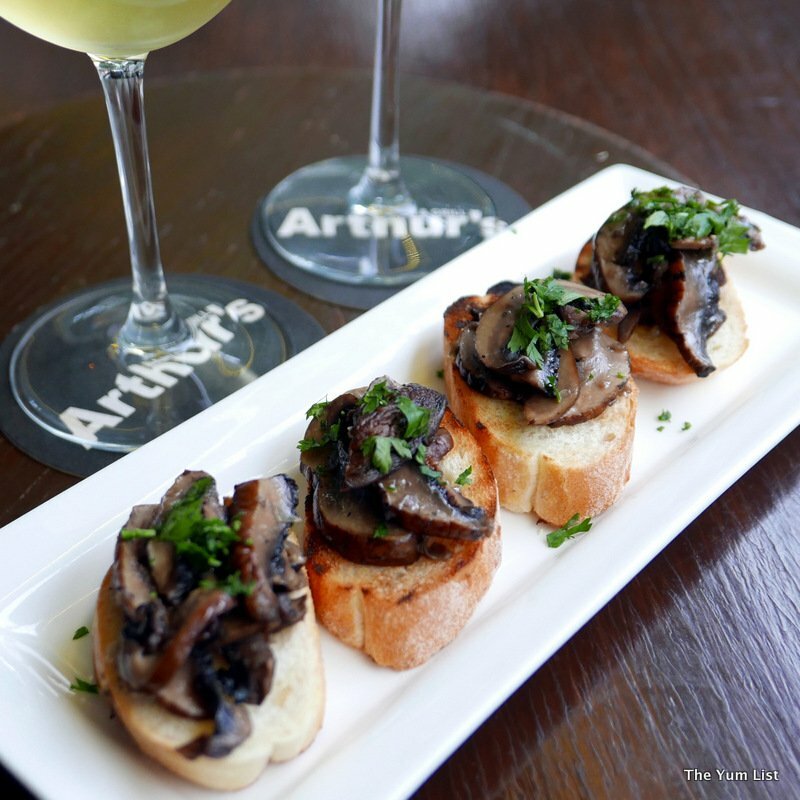 Coupled with a mushroom bruschetta, slices of field mushroom, lightly sautéed, and served over crusty house bread, this gave an excellent taster for this mushroom newbie. To Monica’s surprise, or was it shock, I enjoyed the mushroom offerings and kept picking at more. She keeps telling me that The Yum List is changing me – perhaps she is right! 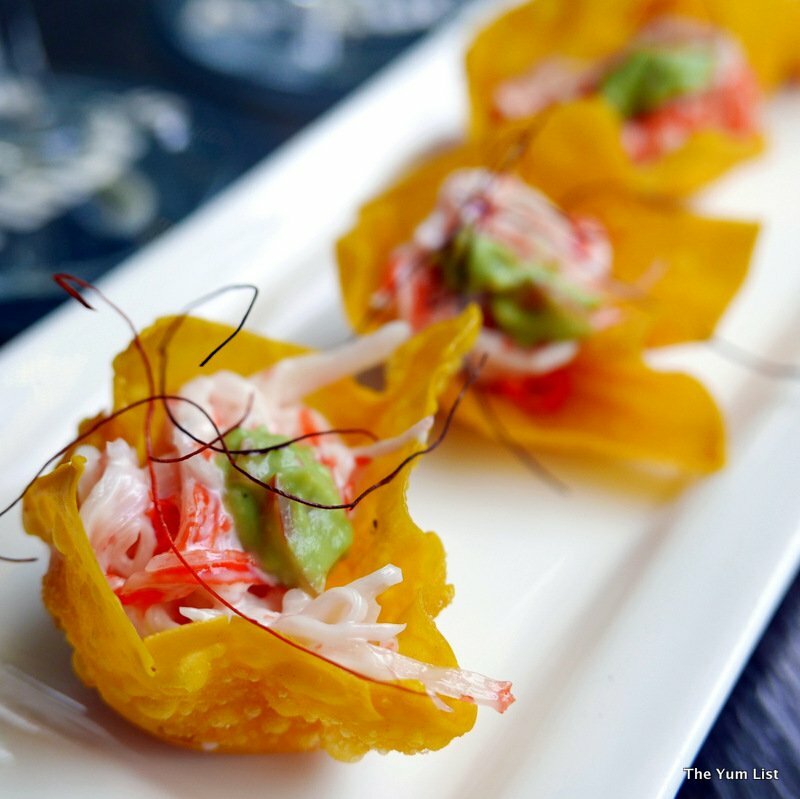 Delicate open wontons stuffed full of crab were a refreshing surprise. Tender crab pieces in a light mayo provided a great textural comparison to the crispy wonton skin. Arthur’s offers great cocktails too. The Singapore Sling, a traditional favourite a little south of here, combined the right amount of alcohol and sweetness, and gave me a nostalgic rush. Arthur’s localised interpretation of this classic was also pretty impressive. My personal cocktail, the Sidecar, offered a substantial kick – now that is the way to start a Friday evening. Caning opted for the Pegu Club; Monica a Mai Tai. 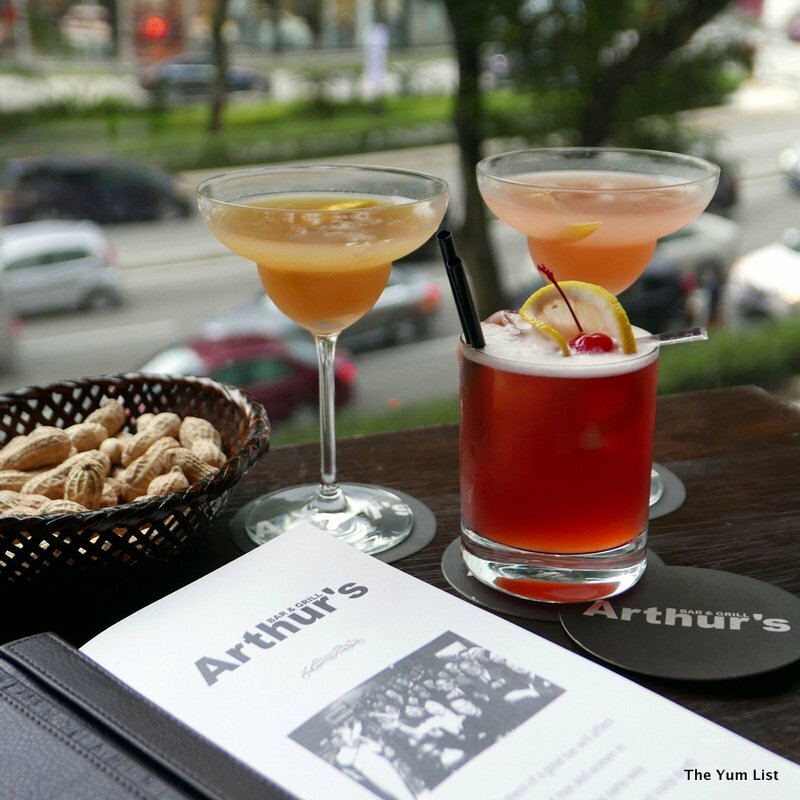 Arthur’s has a great mix of classic cocktails embedded into the menu. Add to this a local twist, a few in-house concoctions, and the drinks menu is pretty impressive. Whatever your tipple, they do have something that will hit the spot. And if you don’t believe me, just check out their wall of bottles – an impressive sight above the bar, upon entering the venue. The drinks certainly got us more talkative, and after sharing stories from the week, we were in the mood for some lively music. 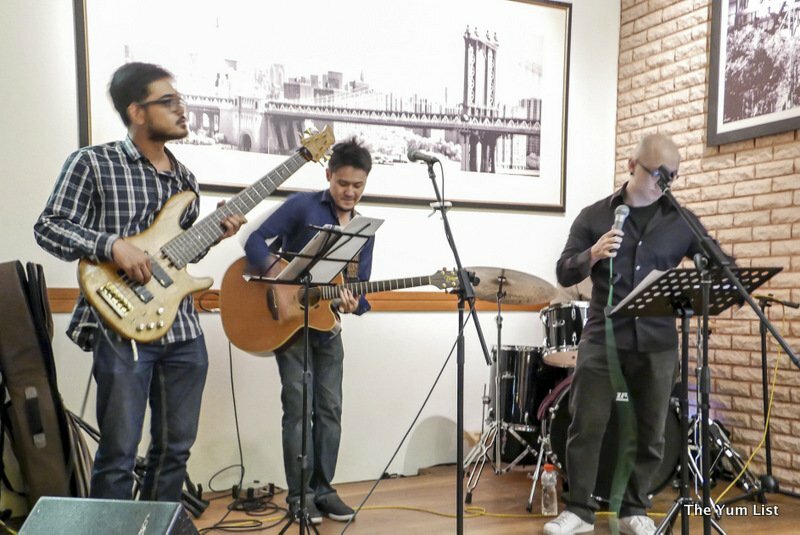 A recent addition to the Arthur’s line-up has been their Friday night live band – a local ensemble that does some awesome covers, requests included. Usually when I think of hotel bands, I tend to cringe – loud music, bad accents, and a few keys off. Not these guys! They were superb! In keeping with the standing of the Shangri-La Hotel Kuala Lumpur, the band performed stunningly. Not too loud – we could still hear our chit chat – but great songs, great musicianship, and really strong, emotive vocals. The stellar performance brought back memories, as we started discussing who was older, and where we first heard some of these hits from the… yeah, ok, a few years ago. Our host for the evening was also very encouraging of us to try some of the signature mains. A bottle of white – oh, did I mention they have great house pour promotions too. A nice robust Chardonnay (Torres) assisted our taste transition between our tapas and the main shebang. 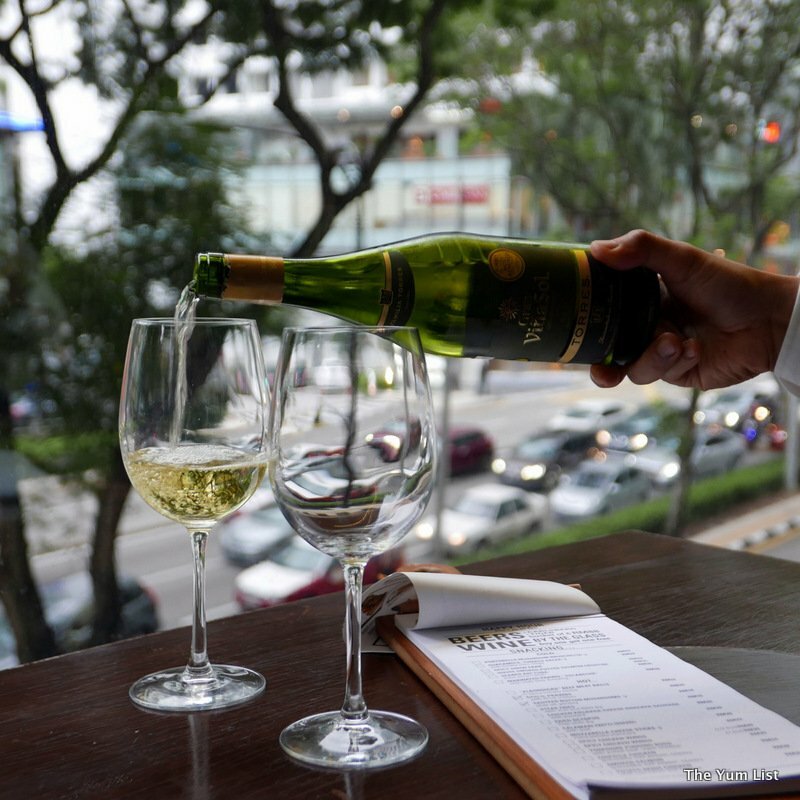 Excellent Happy Hour Deals On Six Different Wines by the Glass – We’re In! The New England Seafood Chowder was creamy and chock full of yummy seafood – big chunks of delicious fish and seafood, masterfully married in a thick chowder. Add a dash of pepper to spice it up, or enjoy it as is – a real crowd pleaser. On the lighter side of the mains was “The Works” Burger. A huge beef patty, smoked beef brisket, fried egg, mushrooms, caramelised onion and aged cheddar. Cooked beautifully, the beef was nice and tender, and super filling too. Just right for a dish on your own, if you haven’t been sharing and exploring like us. Arthur’s signature Braised Beef Short Ribs were sublime. Served on the rib, tender beef barely clung on to the bone, but cut away with ease. 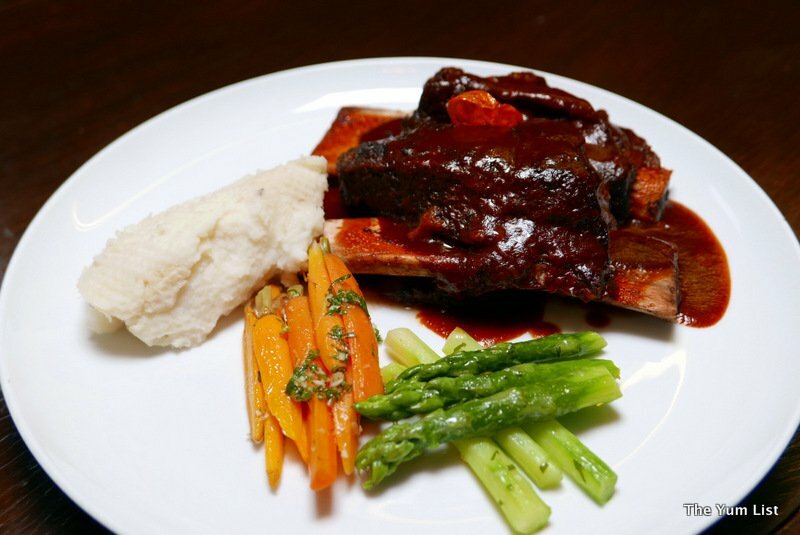 Juicy and delicious, the short ribs are both a meal in themselves (for a hungry diner) as well as a great sharing plate for friends. There was certainly plenty enough to go around. Served with a hearty dose of mashed potato, baby carrots, and asparagus – it’s meat and three veggies done with style. From the carving trolley, only available at dinner service, was the Australian Black Angus Prime Rib – my absolute highlight from this meal. 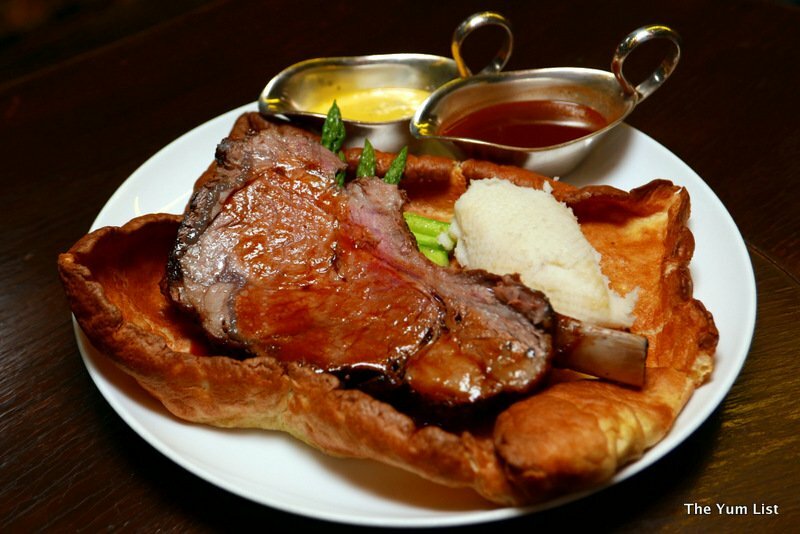 Served encased within a giant Yorkshire pudding, the prime rib is cut to order. Accompanied by a rich béarnaise sauce (ideal for dipping, rather than smothering), ours also came with a stack of steak fries, cooked golden brown. I heard that the prime rib is one of Arthur’s most popular dishes – it is certainly easy to understand why. Incredible value too; it was certainly one of the biggest steaks that I have had in recent times. Our mains were accompanied by two red wines. My Chianti complimented the beef extremely well. 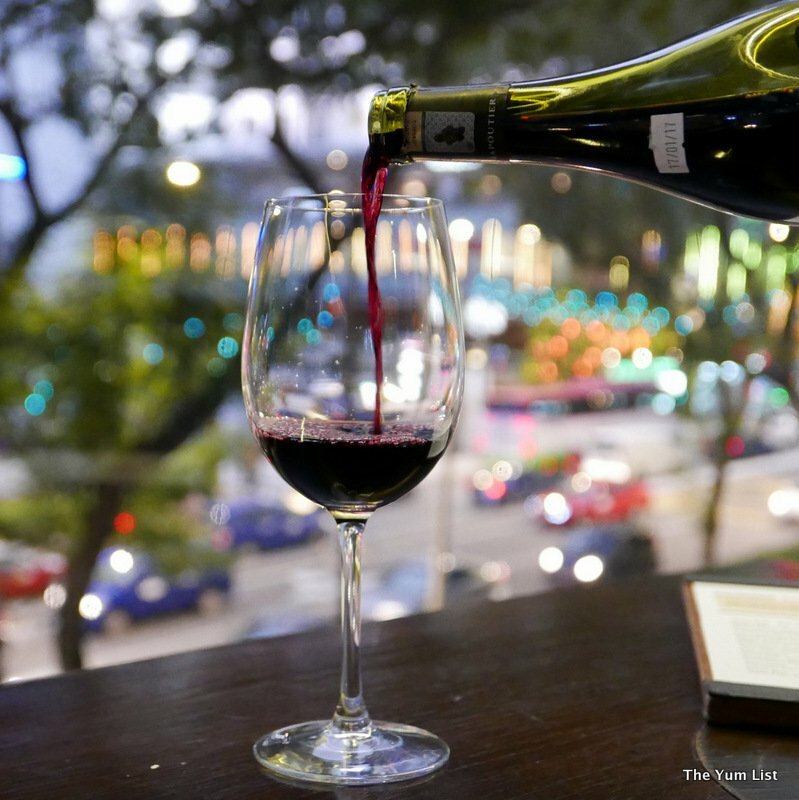 The rotating house special wines are a great feature too – a solid list of great value wines, but house pour being rotated weekly to enhance variety. Just when I thought the food was about to beat us, the suggestion of dessert came up. Yes, there was still just a tad enough room for dessert – just. Peach Cobbler with a maple walnut ice cream. 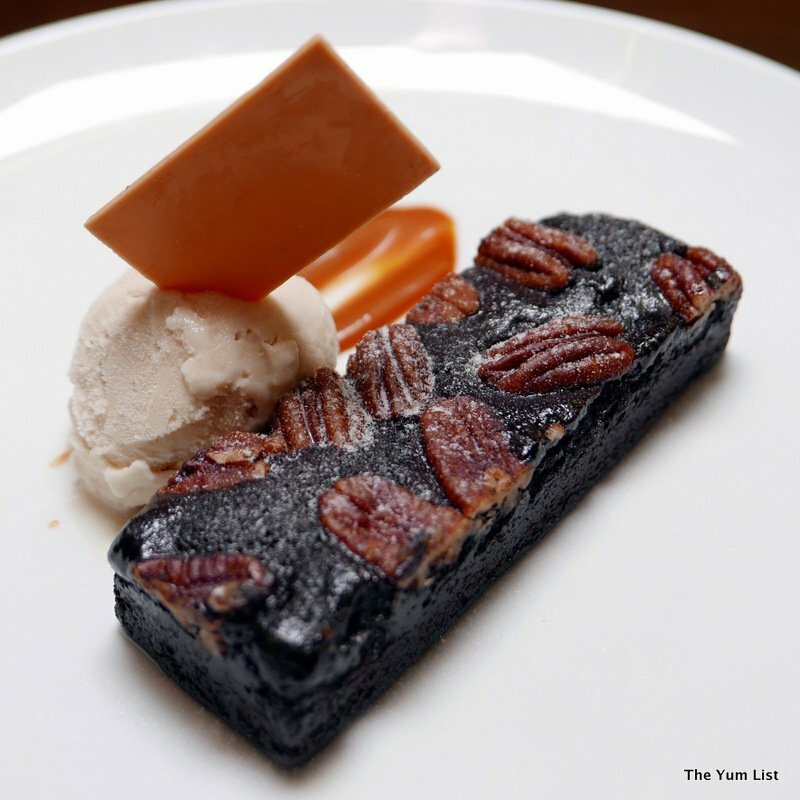 Double Chocolate Pecan Nut Brownie, served with a banana sorbet. This was some serious food. 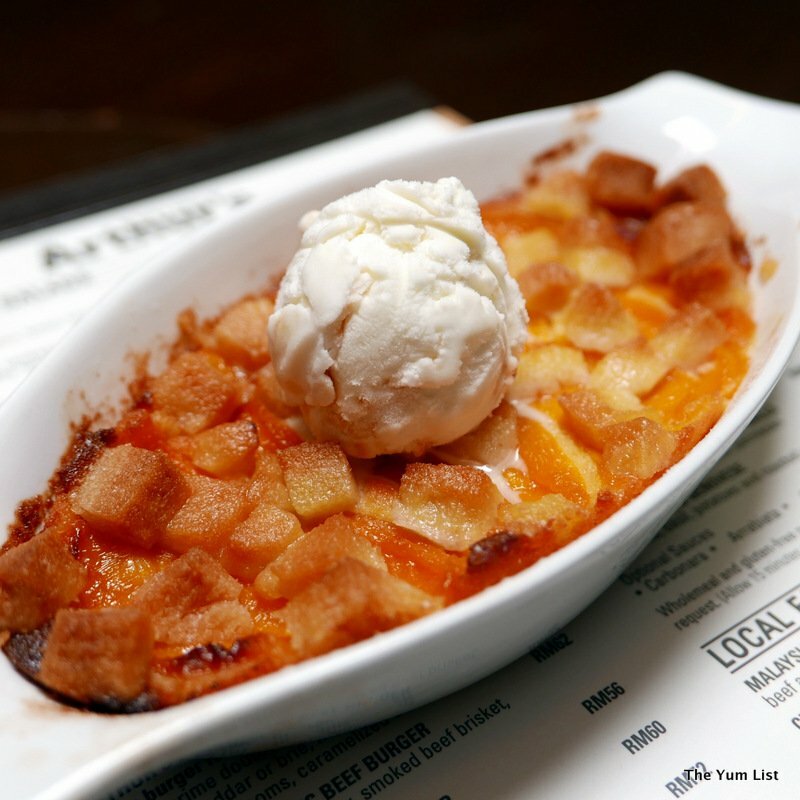 The peach cobbler had plentiful fresh fruit, baked to perfection, and not too sweet. The maple walnut ice cream made a great alternative to the usual vanilla, with just a hint of maple to lift its flavour. But the star was the banana sorbet. The banana shone through, and it was more the texture of an ice cream than a sorbet. An aperitif to finish too – I borrowed a little of my Armagnac to pour over the banana ice cream. Great decision! At the end of what was an extensive evening, we left extremely full, very satisfied, and had an amazing time. The music was great, the atmosphere ideal for conversation amongst friends, and the food spectacular. 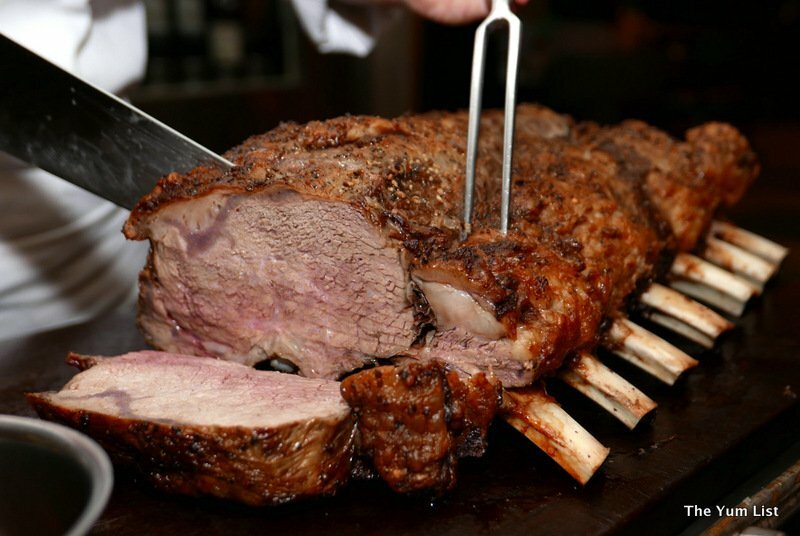 Reasons to visit: great atmosphere, great music, great food – must try the Prime Rib. 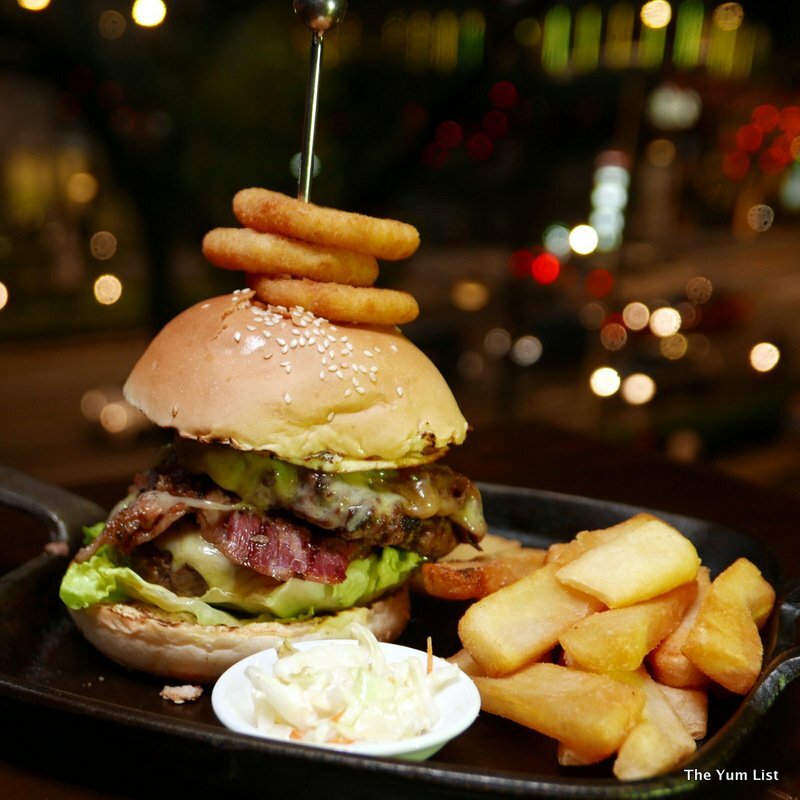 Value for money in the city centre – fab happy hour deals and very generous portions. Monica, lovely photos. 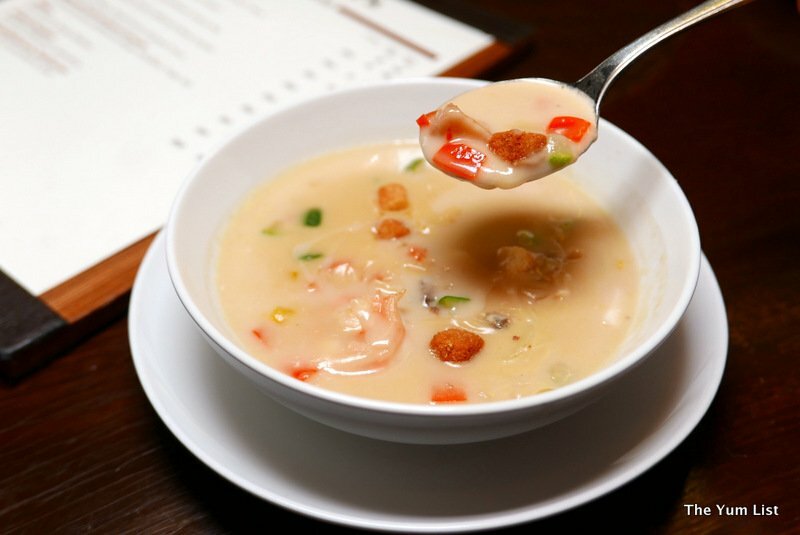 The New England seafood chowder looks delicious and the mushrooms as well. Even though I don’t eat beef, it does look succulent. 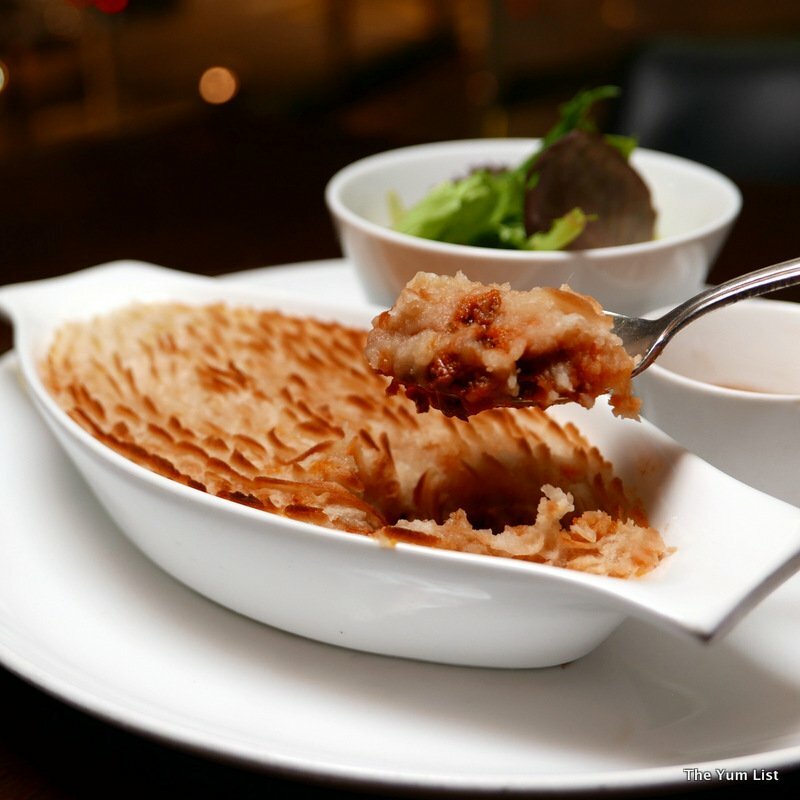 It been a while since I had Shepard pie, an all around comfort food. All the food and cocktails looks amazing .. 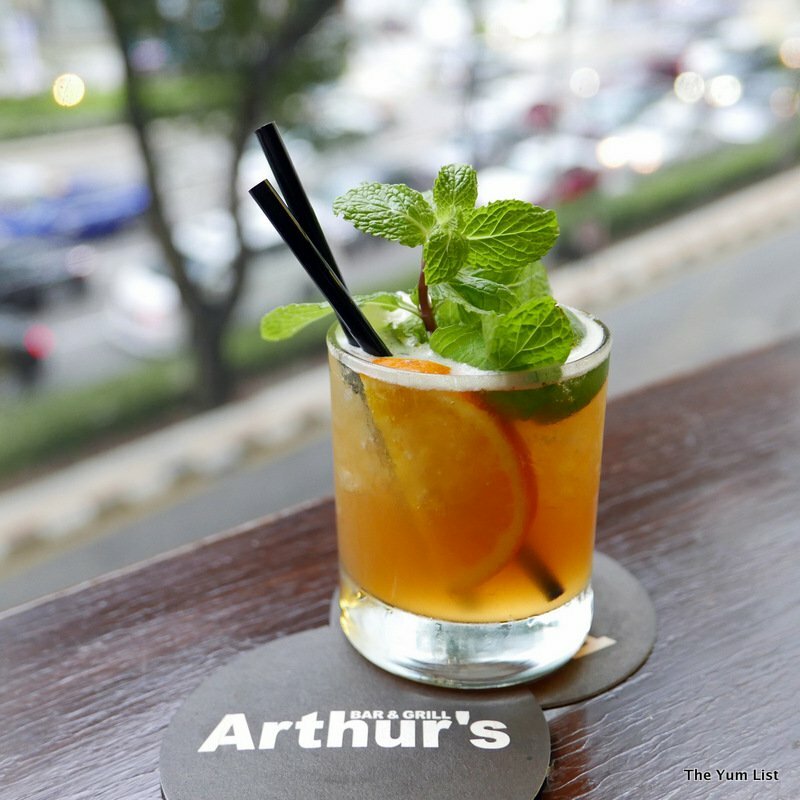 So, did you get caught between the moon and New York city…..in Arthur’s? ^_~ The food looks fabulous by the way. Oh? They have a place named after me? Hehehehehe!!!! What a great alternative to Friday night traffic. Better than being in traffic. That tall bar is very attractive. I’d give that beef a good go. I didn’t think the Shangri-La would have such good prices. Heading there with friends this Friday. I’m more of a beer man, but my wife will appreciate multiple wine choices. Live music, cheap drinks, big meal – a fun Friday evening. Good to see more than one wine on offer for happy hour. I’m not a big beef eater, but the tapas look good. Red wine and the beef for me! Good to see some interesting wines for happy hour for a change. Not your usual KL bore. I don’t think of hotels when it comes to good happy hours, but you may be changing my mind. The bar snacks would make a main meal for me. Band sounds fun. 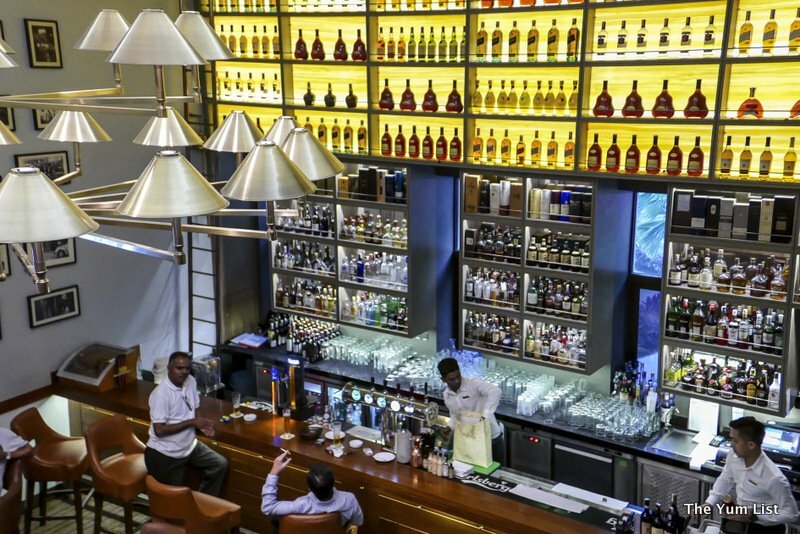 Finally a bar that has more than just beer for happy hour in Kuala Lumpur. 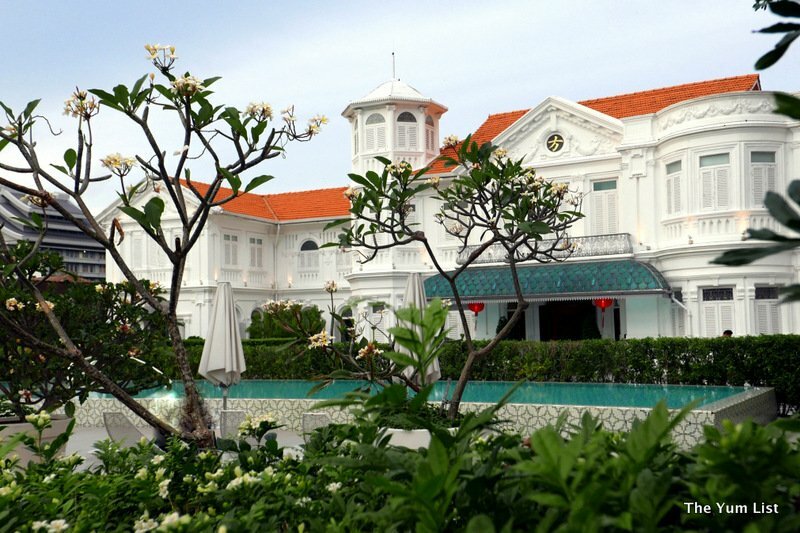 I’ve mostly had good experiences at the Shangri-la. Prices are high but food quality is usually good with large portions. 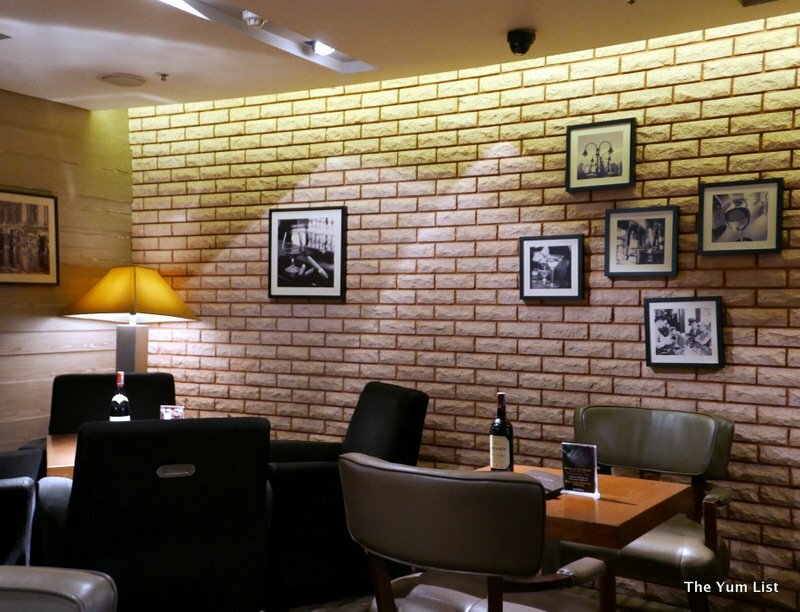 Live music and happy hours with some wholesome food could be a happy Friday afternoon. Not far from my work, yet I didn’t even know there was a bar here. Thanks for the recommendation.